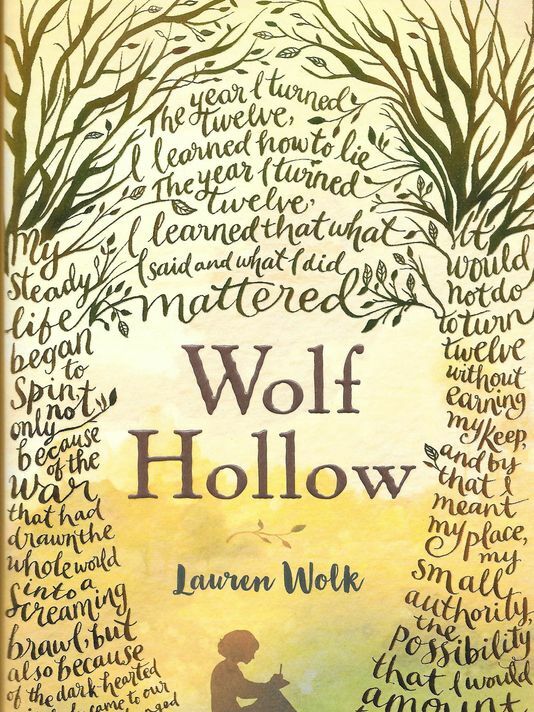 Stories like Wolf Hollow are so fantastic because the remind us that while we hold to nostalgia that other times were "simpler," times, life is never simple, and the truth, when held back can sometimes be more complicated than anything you could imagine. Comparisons have already been made to Harper Lee's classic To Kill a Mockingbird, and rightfully so. This novel has a similar feeling in its beautiful, and easy prose and in, Annabelle, and it's earnest and charming narrator. What's so wonderful about Wolf Hollow, and is another echo back to Lee's incredible work, is, you can feel that it is timeless. Yes, it is set in 1943, but the experiences, the life lessons, and the heart are true in any era. Annabelle's clear-eyed naivety, but overall desire for good are tempered by her independence, and wilful insistence to seek the truth at any cost. This is a novel I can see easily becoming a new classic, studied and loved in classrooms around the country. 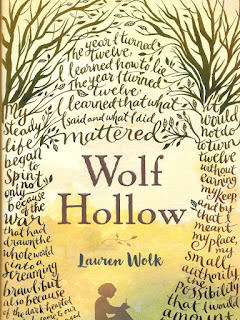 Lauren Wolk does such a fantastic job showing you Wolf Hollow through the eyes of Annabelle it's not difficult to see the ridge where Betty, the local bully, waits to torment her classmates. Nor is it difficult to imagine a sociopathic little girl desperate for power and control in her life spinning her web of lies to cover her own misdeeds. Meanwhile, the classic lesson of not judging a person based on his appearance makes the rounds with Toby, the town hermit, who is, of course, far more than meets the eye. I will admit Betty's conniving and hurtful behavior somewhat frightened me at times, but Wolk does a great job at balancing Annabelle's rightful indignation at Betty's foul behavior, with her limited understanding that Betty is another child who has been irrecoverably damaged. Her relationship with Toby is sweet, and gentle, and so good hearted that your heart will break along with Annabelle to learn that the truth isn't always enough to truly set you free in the eyes of your peers, and that life is hardly fair. Annabelle has a strong family unit that sees her though this growth between the year she is eleven and the year she turned twelve, and each character has his and her own role, that is fully realized, and not simply glossed over. From her strong-willed and kind hearted mother and father, to her wily younger brothers, to her bitter, cold-hearted aunt. The writing in Wolf Hollow has such a clear voice that I found this novel easy to read, and its rhythm a steady drumbeat throughout the story. Nothing felt overly hurried, and nothing felt too drawn out - you could feel the pace of life in Wolf Hollow, as sure as you could see Annabelle and her classmates playing in the school-yard, or running down the path to Cob Hollow. It is rare these days that a single line of prose catches me, but with Wolf Hollow, one passage did just that. I'd like to leave you with this in the hopes it will inspire you to pick up the book and enjoy your journey.